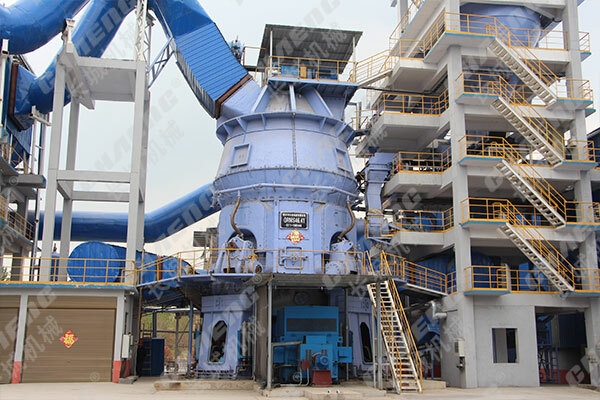 Regarding the problem of too fine slag powder, how does chaeng treat the slag vertical mill? 1. Strengthen the re-inspection of slag mineral powder, we should strictly control the fineness of the slag powder. Once the fineness of the ore powder is greatly reduced, it will bring many problems to the slag, such as: decreased cohesiveness, segregation and bleeding; prolonged condensation time; The early strength is reduced, and even the 28d intensity will be reduced to varying degrees. The large vertical mill slag powder production line has advanced production technology and the fineness of the produced slag powder is very stable. However, the fineness of the ore powder produced by the slag vertical mill is difficult to stabilize for a long time. Therefore, when using a slag vertical mill, the inspection should be strengthened to strictly control the fineness of the ore powder. Slag powder generally needs to re-examine the activity index and fluidity ratio, but these two indicators have a great relationship with the cement used for testing. When the same mineral powder is used with different contrast cements, the test results will be very different; even With the same cement, the results may vary depending on the batch. Therefore, commercial slag enterprises should use the actual cement for comparison, and more tests and more analysis, especially before selecting cement produced by different manufacturers, the cement must be used as a comparative cement for testing. 2. Pay attention to the amount of mineral powder mixed with mineral powder has an important impact on slag condensation time and slag cohesiveness. Excessive dosage will cause many problems in practical applications, should be based on project schedule, strength grade, structural characteristics, climate The amount of mineral powder is reasonably determined by the difference in conditions and the like. When the mineral powder is added alone, it is preferably 30% to 40%. Large-volume slag can be increased to more than 50% to achieve the purpose of significantly reducing hydration heat. When compounding, the total substitution amount should not exceed 50%. The ore powder is controlled within 20%, and the ore powder is controlled within 30%. In the initial use, the good mineral powder is controlled within 10%, the mineral powder is controlled within 20%, and the large-volume slag can be appropriately relaxed. 3. When compounding, for the different grades of mineral powder, choose the appropriate compound proportion of mineral powder in the commercial slag mixing station, often used in combination with mineral powder. This is because mineral powder is cheaper than mineral powder, and single mineral powder is not good for slag cost. Although the single mineral powder can greatly reduce the cost, the dosage is greatly limited; in addition, when the mineral powder and the mineral powder are compounded, the "complementary complementarity" of the two can be fully utilized to improve the slag performance. 4. Note that the mineral powder and mineral powder complex slag are more demanding on the curing conditions. Therefore, the technical staff of the commercial slag mixing station should strengthen communication with the construction party to ensure the curing conditions of the slag. Due to factors such as construction schedule, structural form, maintenance methods and personnel quality, the maintenance of slag is often not taken seriously. Especially vertical structures, such as shear walls, columns, etc., due to inconvenient maintenance, some units only paint curing agents, and the effect of curing agents is difficult to verify in the short term, which causes many problems in the maintenance of slag. In the case of mineral powder or mineral powder and mineral powder compounding, it is more necessary to strengthen the curing, and only sufficient curing can play the role of the admixture. Of course, I have seen good curing methods in the construction. The method is simple and the effect is very good. It is worth learning. For example, because the vertical structure is inconvenient for water storage and maintenance, after the demoulding, the person is responsible for spraying the water on the wall with the sprayer over and over again, which can maintain the humidity of the slag surface for a long time, save water, and reduce the maintenance. Water is used to influence construction. 5. Pay attention to adjust the slag condensation time The slag condensate time of the slag has a certain retarding effect compared with the ordinary slag without slag. Therefore, attention should be paid to adjusting the setting time of slag, especially when the daily average temperature is less than 10 °C, the slag mix ratio should be adjusted, the amount of ore powder in the slag should be controlled and the early strength type water reducing agent should be used. 6. Pay attention to the adjustment of water consumption of slag. The water consumption has a significant impact on the slag strength and the durability against salt and alkali erosion, impermeability, steel corrosion resistance and carbonation resistance. When the mineral powder is used in combination with the superplasticizer, it has the function of auxiliary water reduction. Compared with the slag of ordinary cement with only high-efficiency water reducing agent, the water consumption can be reduced while ensuring the same initial slump of the slag. The use of mineral powder as a mixture of slag can improve the overall performance of slag, but if the method of using ore powder is unreasonable, it will not achieve the expected effect, but will be counterproductive. Therefore, the ore powder should be applied reasonably, and the role of the ore powder in the commercial slag should be exerted to a large extent.